Toruń by night – walk with a guide. The sightseeing program includes beautifully illuminated at night Old City Market Square (Old City Town Hall, Arthus’ Court, Holy Spirit Church, The Star House, rafters’ inn, Copernicus Monument, The Rafter) – Nicholas Copernicus House – The Leaning Tower – city defense walls complex – granaries – Holy Spirit Gate – Royal Route – St. Johns’ Cathedral. The trip will end with a ride to the south bank of the Vistula, where you can see one of the most beautiful city panoramas. 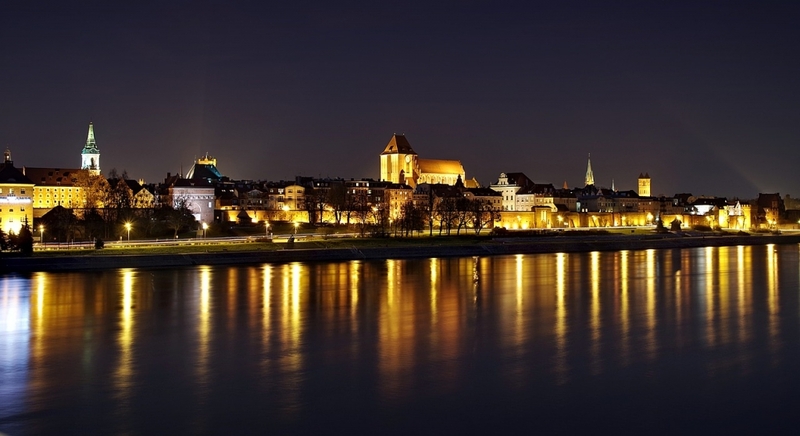 It is the most popular view of Toruń, stunningly illuminated at night. 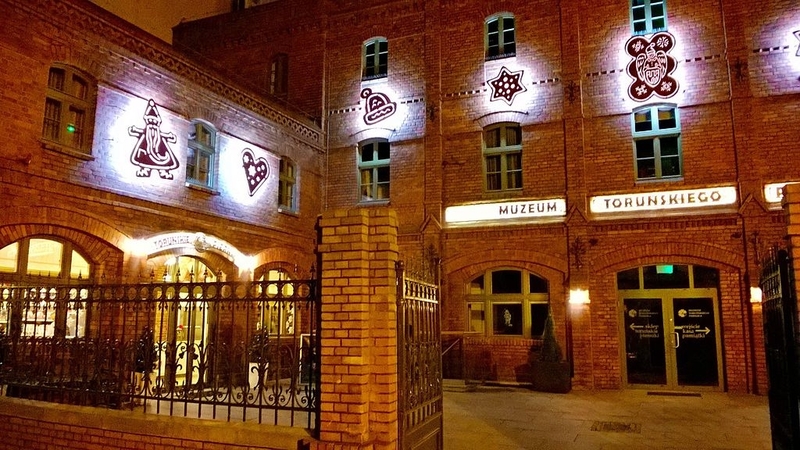 Gingerbread feast – you can pleasantly spend time in the historical interiors of the old gingerbread factory, where the Museum of Toruń Gingerbread is located, by getting to know the tastes and smells of Toruń’s specialties. The meeting includes the visit to the Museum exhibition and a refreshments including mead and gingerbread. You will also be invited to participate in a workshop giving you the hands-on experience of making your own gingerbread souvenir from dough prepared according to the original recipe, and then given a chance to taste this delicacy.